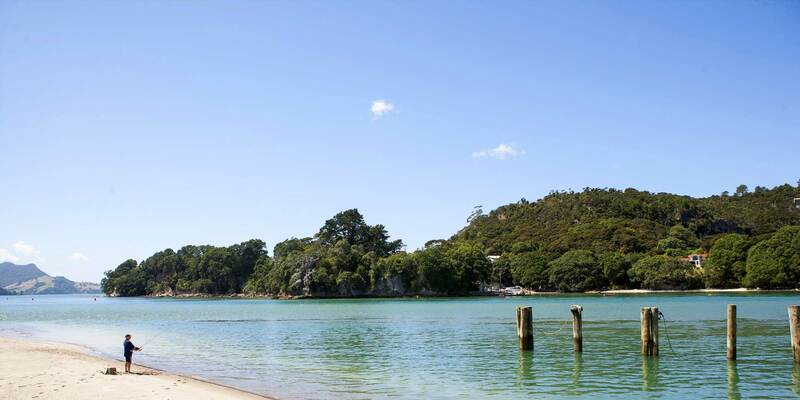 Oceans Resort Whitianga offers contemporary apartments with one bedroom pricing. 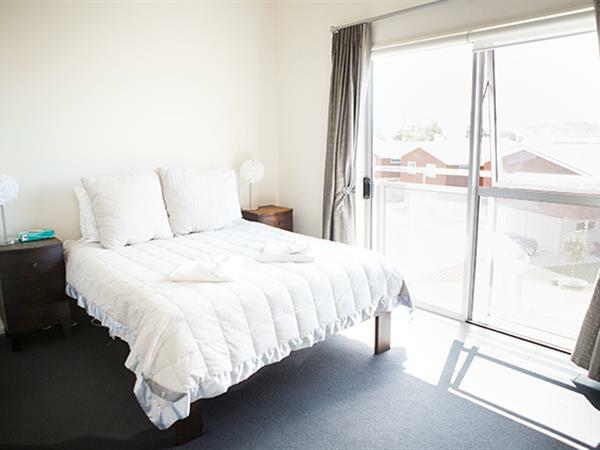 Choose to utilise the upper floor or just one of the available bedrooms for competitive one bedroom rates. All are individually furnished with contemporary décor and offer either double or twin share sleeping for 2 people. 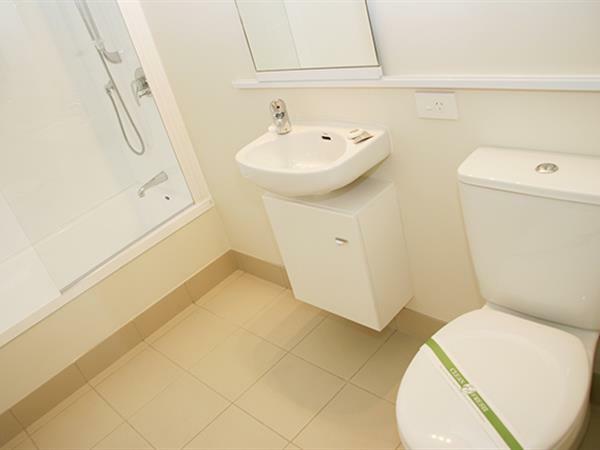 Enjoy the space and full facilities of apartment style accommodation. One Bedroom apartments are serviced daily. 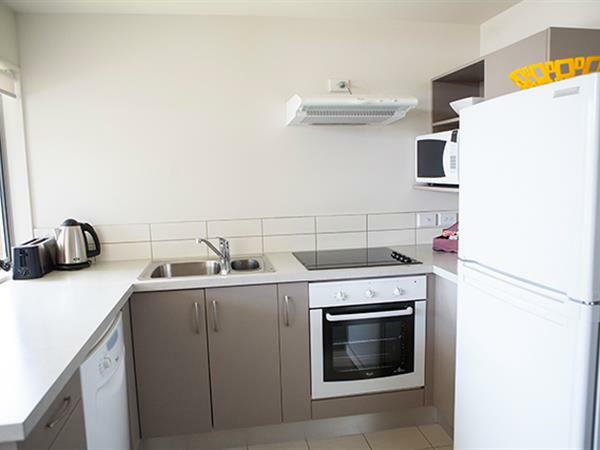 Each apartment has a modern fully equipped kitchen with a microwave, fridge/freezer, ceramic hob, oven and dishwasher. 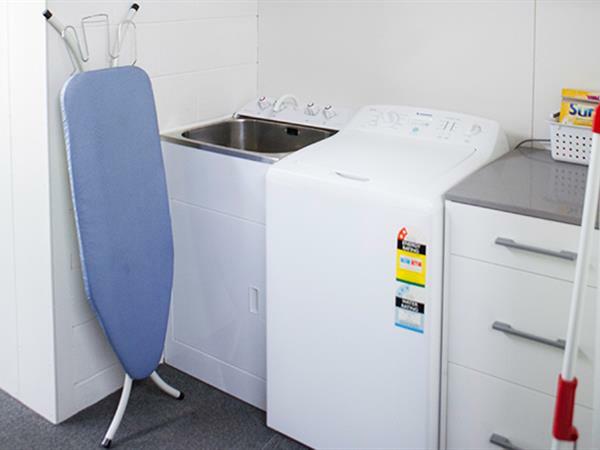 Full laundry facilities include a washer, dryer, iron and ironing board. Most bathrooms contain a shower/bath. The living area is open plan and you will find a CD and DVD player and a television with Sky TV available in most apartments. There is a good sized balcony furnished with outdoor settings. 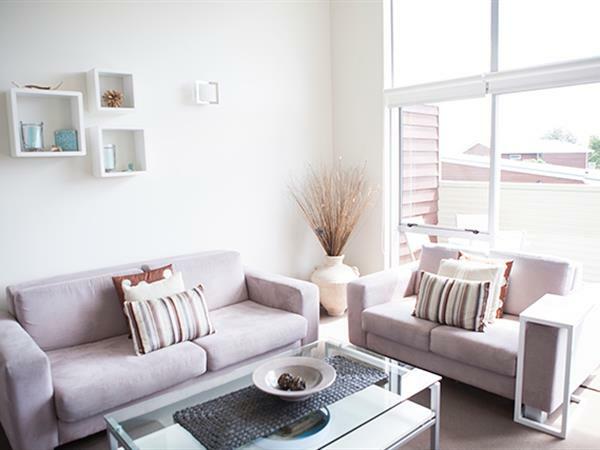 Most apartments have a view of the water from the main bedroom or lounge room. 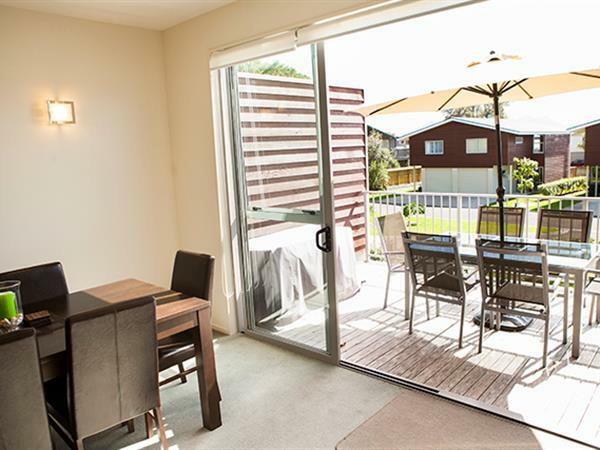 There is ample off street parking and you are just a three minute stroll to Whitianga’s main street, not to mention only 40 metres to the beautiful Buffalo Beach. Fall asleep to the serene sounds of the ocean – perfect for a romantic getaway. » Max number of people is 2 using a queen bed. » Email Direct for enquiries about port a cot options.